Federal agencies have at their disposal convenient and easy-to-use mechanisms for obtaining a wide variety of management and technology services. Our General Services Administration (GSA), DOD, DHS and other Federal Contract Vehicles provide our clients with easy access to EDC Consulting’s professional services. EDC’s contract vehicles are open to all Federal agencies. Please contact us if you would like discuss the best contract vehicle to provide streamlined access to our services. Below is a representative list of contract vehicles that can be used to engage EDC Consulting. GSA IT Schedule 70 is the largest and most widely used acquisition vehicle in the federal government. Schedule 70 is an IDIQ multiple award contract administered by the Federal Supply Service of the United States General Services Administration. All federal, state and local governments can access our Schedule Catalog through GSA IT Schedule 70. The GSA MOBIS Schedule 874 provides agencies with access to the full range of management and specialized consulting and training services, facilitation, surveys, competitive sourcing, as well as full project management. EDC Consulting possesses the necessary expertise to provide support in all of these areas and can facilitate how Federal agencies respond to a continuous stream of new mandates and information. Through the MOBIS Schedule, GSA and EDC help to improve performance and accomplish mission goals. 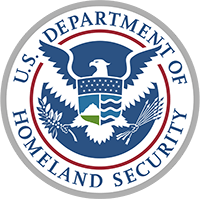 DHS EAGLE II is a Multiple Award, Indefinite-Delivery, Indefinite-Quantity (IDIQ) contract to provide information technology solutions through performance of a wide range of support services. EDC Consulting LLC (EDC) is a prime contract holder in the DHS EAGLE II Small Business Track for Functional Category 1 – Service Delivery under the Service-Disabled Veteran Owned category. EDC has established a team with proven experience delivering a full range of services and solutions in support of developing, implementing, and maintaining technology that supports the DHS mission and its business functions. EDC Consulting is a prime contract holder with the U.S. Department of Transportation (DOT) Pipeline and Hazardous Materials Safety Administration (PHMSA). DOT awarded a Blanket Purchase Agreement (BPA) to EDC to provide Oracle systems engineering and data modeling support services. The objective of this contract is to support the system design and development for the PHMSA Information Technology Modernization Initiative by expanding and improving PHMSA systems and subsystems. This Blanket Purchase Agreement (BPA) accommodates the numerous types and quantities of IT services necessary to meet PHMSA mission requirements. The PHMSA Information Technology Modernization Initiative is comprised of multiple platforms and software suites which require contracting staff to comprise expertise in all aspects of the software development methodology as well as familiarity with the current architecture and the strategic direction of PHMSA. EDC uses best practice methodologies to design and develop IT Modernization subsystems that utilize shared services and capabilities. EDC Consulting is only one of four prime contractors to support the Army Enterprise System Information Program (AESIP) with Enterprise Resource Planning (ERP) Enterprise Integration Services (EIS). These services will provide the highest value of services and resources that align the Army’s ERP investments to maximize efficiency, optimize processes, increase capability, and augment functionality in support of the AESIP customers. 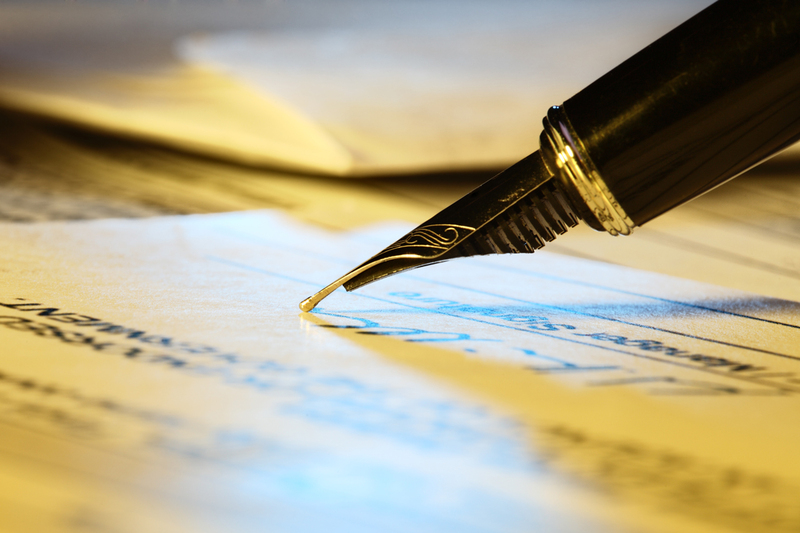 This is an Indefinite Delivery Indefinite Quantity (IDIQ) contract, with a base year and four, one-year options over a five year period of performance. EDC Consulting has in-depth experience supporting the U.S. Navy. EDC is a prime contract holder of the U.S. Navy’s Seaport-e contract that provides engineering, technical and programmatic services across the 22 functional areas. EDC continues to expand its Navy presence and ability to deliver subject matter expertise integrated with the Navy’s complex solution environment. EDC’s goal is to help the Navy capitalize on the critical nodes of modern organizations where IT, financial and program management systems converge. As a subcontractor to CACI Federal and the IBM Corporation, EDC has delivered a wide range of services under the ENCORE II contract. ENCORE II is a multiple award contract (MAC) issued by the Department of Defense Information Systems Agency (DISA). The ENCORE II contract provides technical solutions for the Military Services, DOD and other Federal agencies to satisfy their Information Technology (IT) solution requirements. IT solutions encompass a range of capabilities from legacy systems to new, merging, net–centric technologies and enterprise business systems implementations. As a subcontractor to the IBM Corporation, EDC Consulting is supporting the Defense Logistics Agency’s DLA Operations Research and Resource Analysis Office (DORRA) by delivering new and substantially improved applications and databases, successfully managing important ongoing systems, and creating new and revised technology and operational policies. 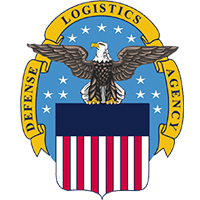 Under the contract, EDC provides full-spectrum Logistics Support Analysis for DORRA studies programs in support of DLA and DoD sponsored requirements. The requirements include planning methodologies and logistics support analysis techniques including contingency support planning, distribution network evaluation, assessing strategic regional support initiatives, evaluating emergency support plans for natural disasters, assessing Agency plans for Joint logistics support under the Global War on Terrorism (GWOT), evaluating Agency options for enhancing forward support to Task Forces, and assessing rebasing and unit design options for Agency assets deploying to an Area of Responsibility (AOR). As a subcontractor to PricewaterhouseCoopers LLP, the CIO SP3 contract is a multiple award ID/IQ contract used for acquiring a wide range of IT services and solutions for the Institutes and Centers (ICs) of the NIH, for the Department of Health and Human Services (DHHS), and for all other federal agencies. These IT services include health, health science and biomedical-related IT services to meet scientific, health, administrative, operational, managerial, and information management requirements. The contract also contains general IT services partly because healthcare systems are increasingly integrated within a broader IT architecture, requiring a systems approach to their implementation and a sound infrastructure for their operation. The focus of this contract is to provide to government agencies a mechanism for quick ordering of needed IT solutions and services at equitable and reasonable prices, to give qualified small businesses a greater opportunity to participate in these requirements, and as a result, give government agencies a mechanism to help meet their socio-economic contracting goals. As a subcontractor to eGlobalTech, the CIO SP3 Small Business contract is a ten (10) year Indefinite Delivery/Indefinite Quantity (IDIQ) Government-wide Acquisition Contract (GWAC) for small businesses. This contract is intended to provide information technology (IT) solutions and services as defined in FAR 2.101(b) and further clarified in the Clinger-Cohen Act of 1996. The IT support solutions and services under the contract include health and biomedical-related IT services to meet scientific, health, administrative, operational, managerial, and information management requirements. The contract also contains general IT services partly because medical systems are increasingly integrated within a broader IT architecture, requiring a systems approach to their implementation and a sound infrastructure for their operation. CIO SP3 task orders will employ various pricing arrangements such as Firm-Fixed-Price (FFP), Cost-Plus-Fixed-Fee (CPFF), Cost-Plus- Award-Fee (CPAF), Cost-Plus-Incentive-Fee (CPIF), and Time-and-Materials (T&M), all of which are to be issued in accordance with the Federal Acquisition Regulation (FAR). While the primary audience for this contract vehicle is the Army, HR Solutions also is open and available to other branches of the military, the Department of Defense, and other civilian agencies. Army HR Solutions was created by the U.S. Army as a product of the HRXXI Program Office, Office of the Assistant Secretary of the Army (M&RA), to streamline the acquisition of human resource (HR) services and support for the Army HR community, including family members. There are four program areas, each with three prime contractors with multiple subcontractors, all of whom were selected by Army HR specialists who placed a high premium on HR-related experience, top quality performance records and competitive costs. EDC Consulting is a subcontractor to the IBM Corporation on the Army HR Solutions vehicle. The U.S. Army’s Information Technology Enterprise Solutions – 2 Services (ITES-2S) program is a performance-based, indefinite delivery/indefinite quantity contract that will help the U.S. Army and other government agencies acquire innovative, standardized, turnkey solutions and services. It is the Information Technology Solutions procurement vehicle of choice for the U.S. Army and provides IT services and solutions to all military services, DoD agencies, and other Federal agencies. The total ceiling value for the contract is $20 billion. EDC Consulting is a subcontractor to the IBM Corporation on the Army HR Solutions vehicle. The U.S. Army’s Information Technology Services – Small Business (ITS-SB) contract is a five-year, $400M enterprise-wide IT services and solutions Indefinite Delivery/Indefinite Quantity (IDIQ) contract. The U.S. Army, Department of Defense (DoD), or any other Federal Agency will be authorized to fulfill their IT support requirements under this ITS-SB contract. The goal of the contract is to support the Army’s enterprise infrastructure with a full range of innovative, IT support services and solutions consistent with DoD and Department of Army policies on standardization and interoperability. EDC Consulting is a subcontractor to SNVC on the Army ITS SB vehicle. The U.S. Army’s Program Management Support Services (PMSS2) contract provides the Office of the Army Chief Information Officer/G-6 (CIO/G-6) and the Program Executive Office, Enterprise Informa­tion Systems (PEO EIS) headquarters, director­ates, and program, project, and product offices the full range of IT-related program management support services, including advisory and consult­ing services. These services will support various missions of command, control, and communica­tions activities and the Army’s transformation to state-of-the-art technology. As a subcontractor to the Lockheed Martin Corporation, EDC Consulting is able to provide software and systems engineering services (SSES) to the U.S. Army Communications Electronics Command’s (CECOM) Software Engineering Center (SEC). Specifically, the team has been chosen for a prime position for both restricted and unrestricted access on the SSES next generation multiple-award, indefinite-delivery indefinite-quantity (IDIQ) contract, which has a multi-Billion dollar contract value among 12 awardees. 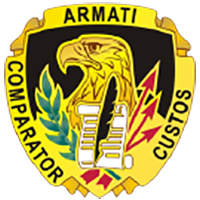 Managed by the U.S. Army’s acquisition center in the Aberdeen Proving Ground, Maryland, the contract features a two-year base performance period, along with one two-year option, as well as an additional one-year option. Under the contract, Lockheed Martin and EDC will deliver lifecycle support services for all software requirements of military systems, including system architecture, acquisition, software development, testing, change management, information assurance, certification and sustainment services. The Veterans Administration’s Transformation Twenty-One Total Technology (T4) Program provides a total solution, encompassing, but not limited to, required hardware, software, and IT products, in conjunction with all services needed to integrate a system, network, or other IT service in order to meet a client’s mission requirements. Services, as well as related IT products, may encompass the entire life-cycle of a system, including but not limited to program management and strategy planning, systems/software engineering, enterprise network, cyber security, operation and maintenance, and IT facilities. Moreover, services and related products covered under this contract shall be global in reach and the Contractors must be prepared to provide services and deliverables worldwide. EDC Consulting is a subcontractor to ByLight on the VA T4 contract vehicle.